Exactly the same reaction ! surgical mask is already in…. That’s not a surgical mask. Like StealTow said. It’s a respirator mask for mold removal, car painting etc. I looks good! But how about adding a couple more characters to choose from? Or maby even an editor? Becouse its boring to see the same faces all the time. Can’t wait to put this outfit on, mask and chainsaw equipped, and start performing home made surgery on people…. Its always great to have new outfits for roleplaying. But on public servers, as long as there are only a few clothes which are waterproof and have more slots than others the common look wont change. Which is very sad. Or if we each spawned in random clothing to add to the feeling that we are a random survivor. 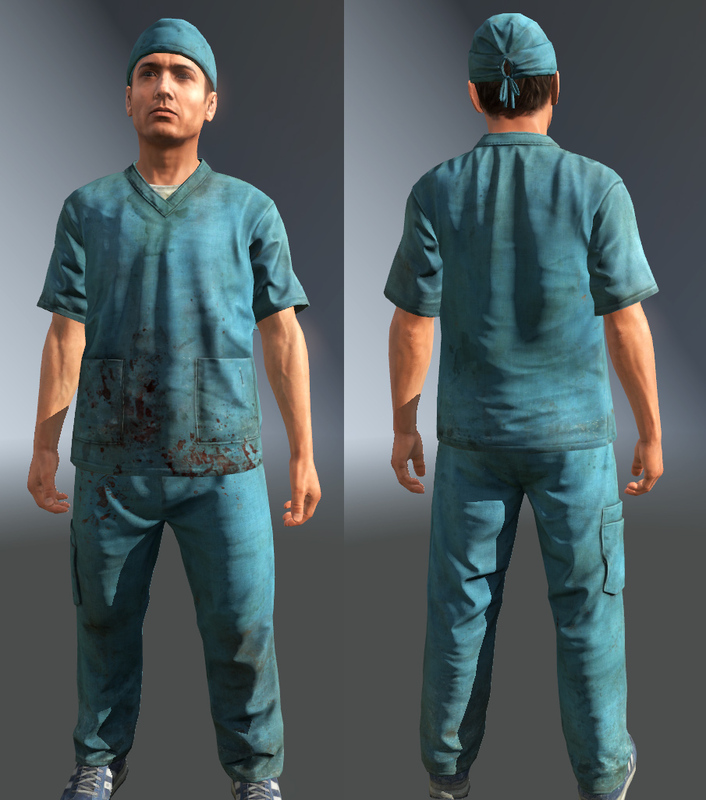 I wonder if we’ll see a medical vest in game, anyway I look forward to this!